This is the first of a series of blog posts based on a presentation I gave at the UK UPA's World Usability Day event in London in November 2010. The theme of World Usability Day was 'communication', and so I took the opportunity to look at how digital communication in the last twenty years has transformed the relationship between media companies and their audience. You can view the original slides, or download the whole series as a printable PDF. 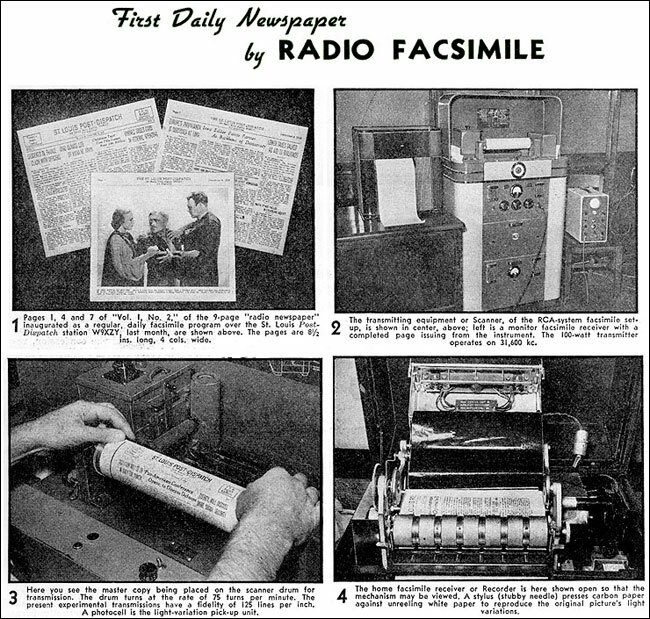 In the deep recesses of the Internet, you can find reproductions of the promotional material for this 1939 device which would deliver your daily newspaper over the radio. Part radiogram, part proto-fax, part bonkers-device-that-was-never-going-to-work, it didn't become a commercial success, although it seems that one title, the St. Louis Post-Dispatch, which is still going today, did publish in that format for several months. It was, though, a glimpse of a possible future, and our current technologically advanced methods of getting news into the home does often involve it been transmitted wirelessly for the last few metres. 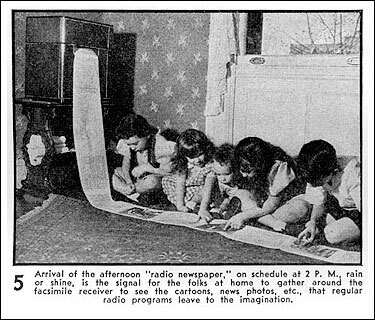 But the 1939 model was still very much a 'one-to-many broadcast' of content. One thing they did get right in this promotional material though, as the final illustration shows, is that reading newspapers has always been a social activity - even if not done so much by youngsters nowadays. Now, fast forward to 2010, and I work at Guardian News & Media, who publish the Guardian and the Observer. My colleague Dan Catt can sometimes be seen in a t-shirt simply emblazoned with the number 01 811 8055. For anyone of a certain vintage - i.e. 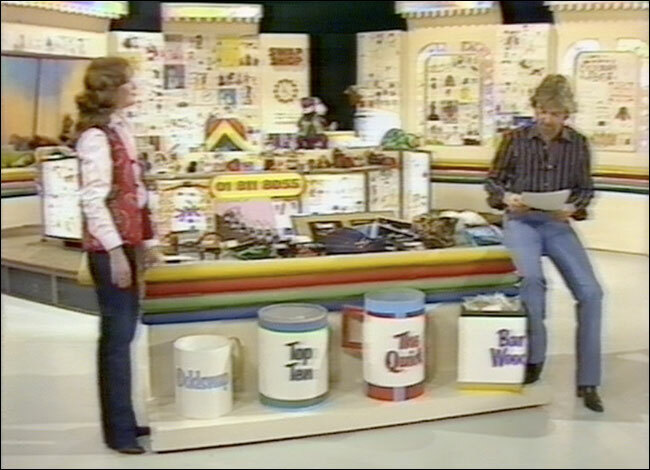 mine or thereabouts - it means only one thing, the hotline through to Multi-Coloured Swap Shop. It was a direct way of communicating to the programme, moderated by a switchboard, and hosted directly by the BBC. You can see it in the background of this screencap of Doctor Who actress Sarah Sutton appearing on the show in 1981. If you don't know the programme, it was a Saturday morning kids show which allowed the audience to offer unwanted toys and stuff to swap. Clearly it relied on user interaction, and had to act as a mediator between the people doing the swaps at outside broadcast locations. That level of interaction with the telly was so scarce in the 1970s, though, that the number is etched across our cultural heritage. Well, mine and Dan's anyway...he used the t-shirt when living in the States as a short-hand way of saying "I'm British" from a distance at parties. 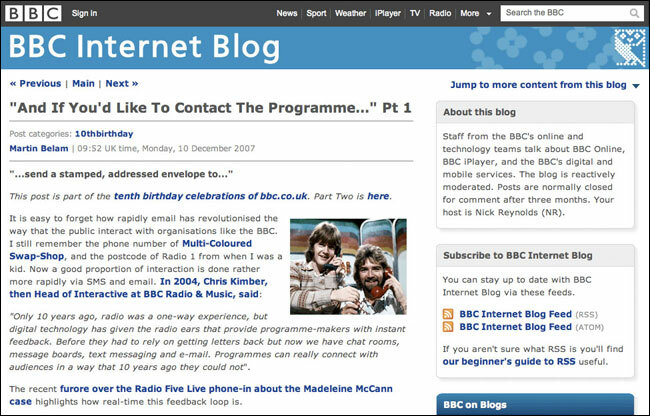 Back in 2007, I wrote some blog posts to celebrate the tenth anniversary of the BBC's website. One was entitled "And if you'd like to contact the programme...". It looked at how the communication forms enabled by digital technology had totally changed the relationship between the BBC and audience. It was only three years ago, but already that blog post feels quaint. Apart from indicating that I've used the Mulit-Coloured Swap Shop phone number as an example before, it dealt entirely with conversations hosted and moderated by the BBC, whether that be email, blogs, forums, live chats or messageboards. 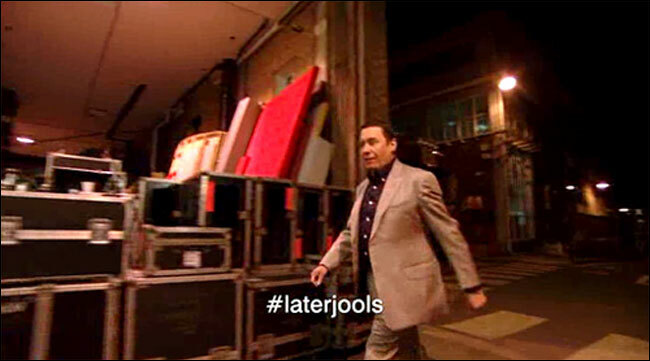 Tune into BBC TV today, and shows like Later with Jools Holland put a Twitter hashtag up on-screen. The tweets you might see by searching for that hashtag are totally unmoderated, and on a platform hosted a long way away from the BBC's infrastructure. 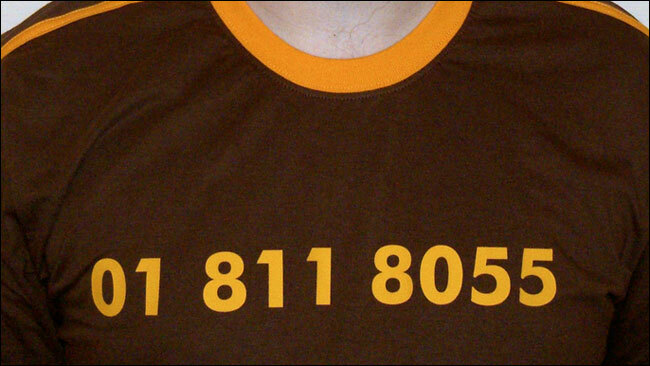 Who knows if in 30 years time anyone will feel a pang of nostalgia for a hastag like we do for an old telephone number? Digital communication has reframed the relationship between media and audience, but change also brings opportunity. Freshly behind their paywall, for example, The Times uses CoverItLive to do 24/7 'customer service'. 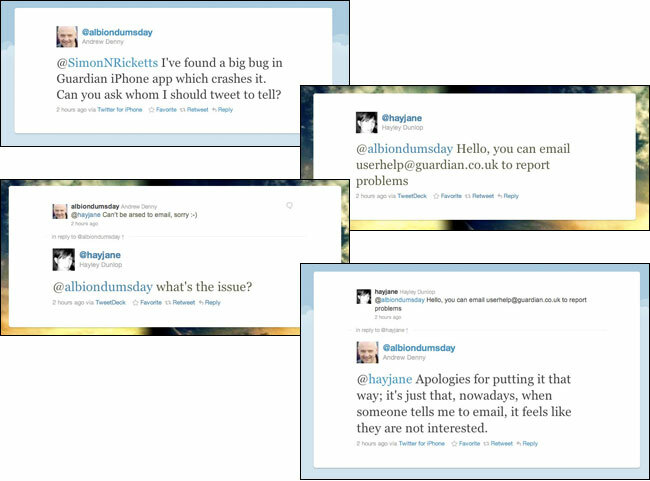 On Twitter you can see individuals like the Guardian's mobile product manager Jon Moore or our Senior Press Officer Hayley Dunlop leap into the fray out of office hours to deal with bug reports on the Guardian's iPhone app. Let's be frank, in the newspaper business, the only customer service we really used to have to do well was with advertisers. As for the end users, we didn't have customers, we had 'the readers', a very passive word to use for a consumer. But this isn't just about customer service. This transition affects what we do as media companies on every level. Guardian editor Alan Rusbridger has put forward the argument for 'mutualised journalism'. The audience are no longer passive consumers of all the news that is fit to print, but active participants in the process of journalism. "I think journalists have to ask themselves whether they really are the only figures of authority and whether they know more in all circumstances than their readers, or whether we can adopt a more, slightly more humble approach and say well, we do know things and we do have certain skills but out there our readers probably know more than we do about certain things or are equally qualified to express views. And so we should create the platforms and the technology and the forums by which they can take part too, and my experience is if you do that, you end up with something that is better than if we journalists just try to do it alone." "We are living through a shock of inclusion, where the former audience is becoming increasingly intertwined with all aspects of news, as sources who can go public on their own, as groups that can both create and comb through data in ways the professionals can't, as disseminators and syndicators and users of the news. This shock of inclusion is coming from the outside in, driven not by the professionals formerly in charge, but by the former audience." - Clay Shirky: "The Shock of Inclusion and New Roles for News in the Fabric of Society"
The Guardian has demonstrated, however, that this pressure for change doesn't have to be 'outside in', and in part two of this series I'll be looking at how the paper has collaborated with readers on our journalism, and the new dialogues that news organisations have opened up with their audience. By Martin Belam on 29 November 2010.
while i am just a little to young to remember swap shop, i can see where you are coming from however i'm of the believe that the era we are entering/entered into is very exciting and gives the mainstream media a real run for their money. In days gone past we would have reallied on the opinion or style of reporting by the nightly news but now we can get first hand reports of incidents as well as having far more mainstream news than ever before. In conclusion i would have to say that i hope the ability for the everyday "Joe Blogs" to be able to give their own story in their own way without reallying on the media.